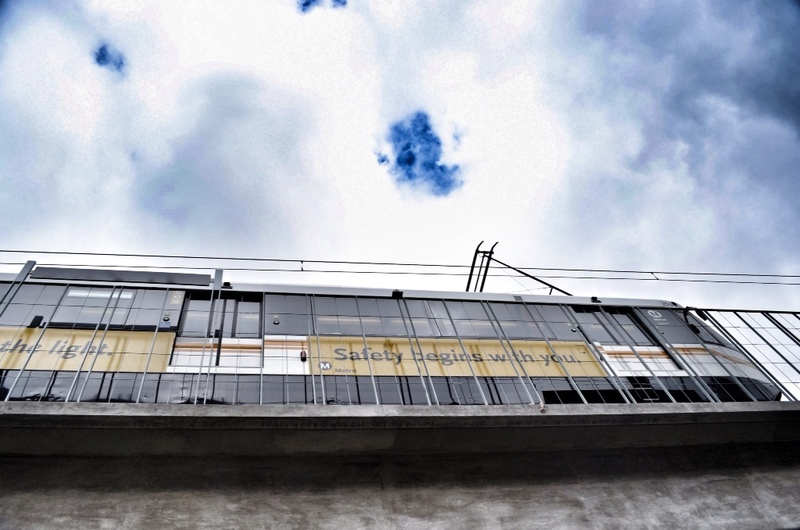 EXPO LINE OPENING: I knew there was a lot of anticipation for the new light rail line, but I was still surprised at the number of people visiting this blog after the April 28 opening to the La Cienega station was announced Friday. I’m talking twice as many people as the day before the much-hyped Carmageddon weekend last summer on the 405. I suspect a lot of the anticipation is pent-up demand. Since the Gold Line to Pasadena opened in the summer of 2003, there has been an awful lot of talk and planning for rail expansion in the Los Angeles area. Yet, only one rail line has actually opened since ’03: the six-mile extension of the Gold Line to East Los Angeles in Nov. 2009. Perhaps that’s the reason Expo’s profile keeps rising. It’s a symbol, a harbinger of things to come with new rail lines stretching deeper into the corners of Los Angeles County and sitting in traffic is no longer mandatory to get wherever you want to go. NEW RAIL CARS: Speaking of new rail lines, all those new tracks across L.A. County will be more useful if there are actually trains to run on them. The Metro Board last month delayed a decision to purchase new light rail vehicles from Kinkisharyo International LLC after other firms competing for the contract complained about the process used by agency staff to select the winning bidder. No surprise there. Big contracts issued at any level of government almost always generate complaints from those who don’t win them. Here’s the thing: With the opening of Expo’s first phase next month, Metro’s fleet of light rail vehicles is stretched about as far as it will go. Phase two of Expo and the Gold Line Foothill Extension are under construction; the construction contract for the Crenshaw/LAX Line is out to bid. The Regional Connector’s final environmental document will be considered by the Board next month. New light rail vehicles have to be made to spec. Delivery takes time. In 2010, Metro backed away from a rail car contract with another firm for a variety of reasons and the process began anew. Those who want to see Metro open new rail lines with frequent service should be watching this process. WESTWOOD/VA STATION: I posted a couple of renderings of the entrance to the proposed Westwood/VA station for the Westside Subway Extension and reader reaction was strong and swift: many thought the station was too far from nearby residences, would be difficult to access by bus and needed parking. The Metro Board will select the location of the Westwood/VA station as part of its approval of the Subway Extension’s Final Environmental Impact Statement/Report, scheduled for its April meeting. There are two options in the FEIS/R: the location shown in the renderings on the south side of Wilshire and one just north of Wilshire. To put it another way: The subway is unlikely to go any farther west at this point. The Metro Board agreed to fund the subway to Westwood as part of the Measure R sales tax increase and the agency’s long-range plan. The alternative, for now, is to stop the subway just east of the 405 freeway at Wilshire and Westwood, a plan that prompted members of the public to push Metro to get the subway beyond the 405. As I wrote last week, the train won’t be reaching the Westwood/VA terminus until 2022 at the earliest (depending on funding scenarios). That means there’s plenty of time to work to ensure pedestrian, bike and bus access to the station is as good as possible. A lot of work remains to be done. I’d also like to raise another point: A lot of the sprawling VA campus remains un-used, under-used and many buildings are not in great shape. There has been occasional talk of developing or renovating the campus, but that has never gone anywhere because neighborhood groups fear — with justification — that it would only make traffic worse. Now a subway is coming to the VA campus with connections to the region’s job centers and growing transit network. The VA first and foremost must serve those who have served their country — that’s obvious. Even though there are restrictions on how federal property can be used, perhaps it’s time for everyone to let go of their past prejudices and give a fresh look at the VA campus and its potential to serve veterans and the neighborhood alike. Correction: “New light rail vehicles for LACMTA have to be made to spec”, which is always interesting given how many other high-platform Light Rail operators in North America (St. Louis, Edmonton, Calgary and Monterrey) buy off-the-shelf. I definitely see the Expo Line opening as the beginning of Measure R (even though it’s technically not) and the future of public transportation in Los Angeles. I think it’s going to suddenly clarify the need for the Regional Connector to a larger section of the population. I think of my coworkers at USC who will be able to hop on the Expo Line for lunch in Culver City or downtown, and how they’ll realize that if that line just went a little bit farther, they could go to Pasadena and East L.A. that much quicker. I really hope the last-minute diplomacy that’s happening with the Financial District interests pays off so that project can be completed without any hiccups! Don’t suppose you guys at Metro could persuade the VA to move their hospital to Federal and Wilshire? Or maybe Bundy? But the question remains: why are we happy to engineer a problem that we’ll later have to solve? It seems that the argument for a station at the VA is still quite thin — is there not a possibility for a supplemental FEIR to assess a station at Wilshire/Federal? Or at least even halfway between Bonsall and Federal, west of where the current station is planned? The Pershing Square station has two entrances, roughly 900 feet apart. With the right layout and positioning, you could have a portal at the corner of Wilshire and Federal, AND have a portal closer to the VA Hospital than the current plan at Wilshire/Bonsall. Of course, this would require a station box under the parklike area just west-northwest of the VA Hospital building, and not sure of the logistics involved in tearing up the park for that… but it’s gotta be cheaper than building a station box under Wilshire, right? I think other reason for the mass viewings and replies regarding the April 28th opening of the Expo (or is it Aqua) Line are because (1) it has been around 50 years since the last time any type of rail (in this case, streetcars) ran that far to the westside of Los Angeles and (2) it may be a few years before another rail project [Expo Line Phase 2 to Santa Monica, Crenshaw Line/Green Line LAX corridor, Gold Line Foothill extension, downtown connector, Westside Subway (Purple Line extension)] will be completed and open for revenue service. With the amount of attention the Expo/Aqua line has been getting, I won’t be surprised if by the end of the year, the Expo/Aqua Line will become THE most used rail line in the Metro’s system. An earlier entry said Expo service would use 2-car consists at 12-minute headways, which sounds pretty sparse for a line with such lofty ridership projections. If that is correct, is service constrained by the size of Metro’s fleet? Will service be, in fact, more frequent? Another issue is weight, a “spec” that Breda did NOT meat with the latest cars, the one mostly on the Gold Line. For quite some time, LACMTA has had a goal of an “LA Car” for its LRT fleet (the P200 were supposed to be it, but it didn’t turn out that way), but, for various complicated reasons they could not achieve this with any of the past contractors. I really don’t know what LACMTA’s goal is with this latest round of purchase in terms of standardization. Are they still trying for an “LA Car” to meet all of Metro’s unique needs? The cars do start out as somewhat off the shelf, but the manufactures allow a great deal of customization with systems they or their contractors have available for “upgrades” as well as designing modifications to meet each agencies desires. It was printed the Breda’s we have on the Gold Line are “top of the line.” Anyway, it really isn’t quite as “off the shelf” as it seems. For orders this big, the rail car manufactures are willing to almost ANY modification or accommodation for an on-board or way-side system the bidder wants. The point is that very little is as simple as “buying off the shelf” for any agency. Why can’t we ease restrictions and taxes so that it’s favorable to bring the actual rail car manufacturers right here to Southern California? With so high taxes it’s no wonder that these manufacturers are all out of state of overseas. We need to start thinking of ways to bring rail manufacturers here so that it creates jobs and helping the local economy. Overall in the long term, that will also bring down production costs for Metro to buy new rail car sets as it’s all produced locally. I would echo what Gary said about having a station half way between Federal and Bonsall and having two station portals. They will be three car trains. Has the MTA announced the color of the Expo Line yet?